BREWER'S YEAST - Is a microscopic plant without chlorophyll (green colored structures in plants that eat light as their food.) Therefore, it must have much the same right kinds of foods you do to live on. By feeding yeast a good diet (things you might not eat) and letting them grow, they assemble a rich natural mineral complex and manufacture the entire vitamin B complex of vitamins. By making an extract of Brewer's Yeast cells, which involves removing their cellular contents from their external covering, we obtain their treasures on which we can run our bodies. The nerves can carry messages properly, the brain functions properly, our emotional environment stabilizes and life is pleasurable again. Natural energy levels soar. Hypoglycemia (low blood sugar) is stabilized by the beautiful protein profiles provided by Brewer's Yeast, as well as it's complete natural profile of B-Complex Vitamins. Diabetes, or high blood sugar, is likewise favorably influenced by the same properties. Brewer's Yeast also has an additional property to correct pancreatic function. * When the diet has chromium restored to it the pancreas, in many cases, will again make the hormone insulin needed for the digestion of blood sugar. 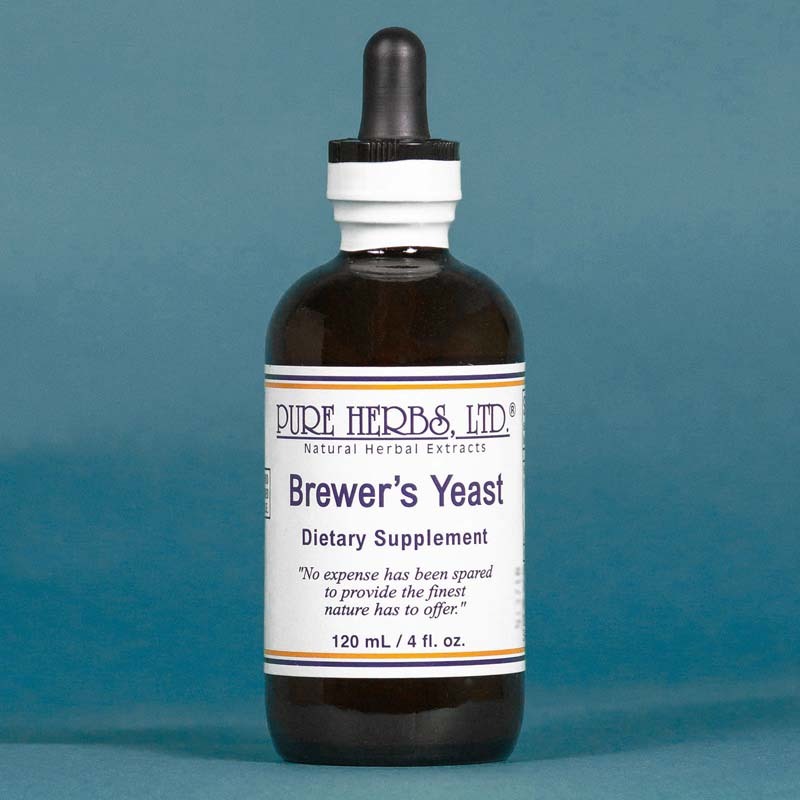 And, Brewer's Yeast just happens to be one of the best, most reliable and easily obtained sources of organic chromium. The tongue is a very sensitive indicator for what is going on in the body, much like looking at a "dip-stick" of an automobile. Sore tongue, red tongue, black tongue, groove down the center of the tongue, vertical lines in the lower lip, loss of upper lip, scalloped tongue (where teeth indentations are shown on the side of the tongue) and cracks at the sides of the mouth corners disappear. Persist no matter what, until the condition is corrected. Correcting these abnormalities of the tongue has a much greater effect on the entire nervous system and brain than just the cosmetic effect which is seen. * DOSE:40 drops to 80 drops 3 times per day.